Recently I’ve been doing a lot of travel reminiscing. I think this is due to the fact that I haven’t got a big travel adventure planned any time soon. It really doesn’t help having blown up travel photos adorning my bedroom walls and plastered all as my computer desktop pictures. Some of the most painful ones to see are of my trip to New York and Boston I took with two good friends about 3 years ago. I loved New York before we went and fell in love with Boston from the moment we got there. Both places showed me such food delights whilst exploring the cities. 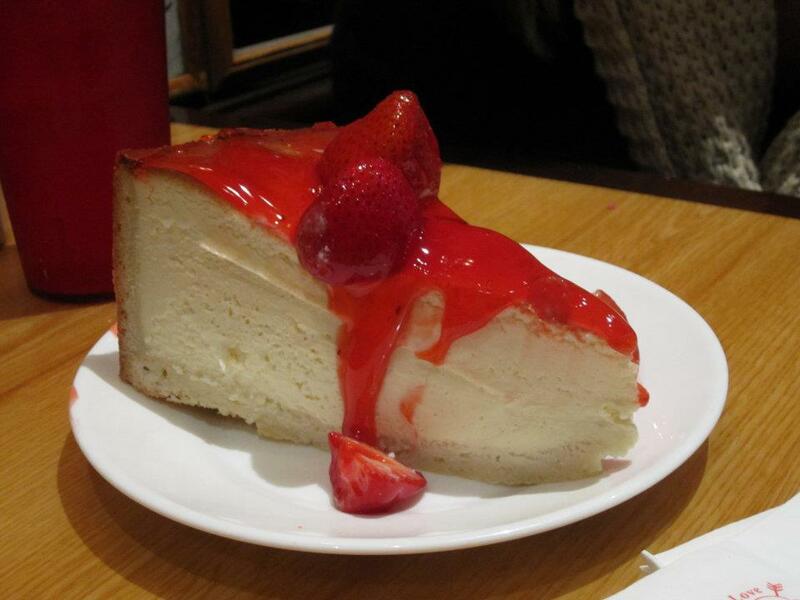 One that particular moment that stands out for me was when I sunk my fork into the cheesecake at Carnegie Deli. 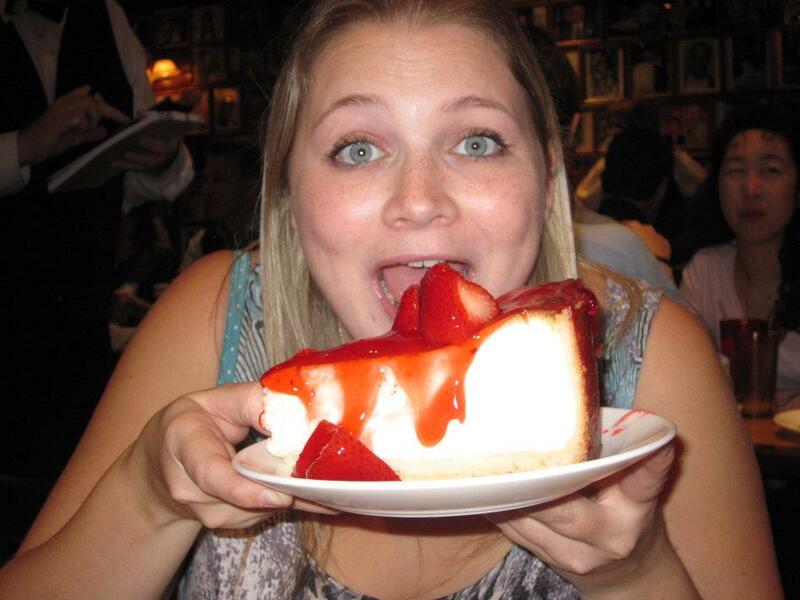 Which three years on I still proclaim this to the best cheesecake in New York, if not the world. 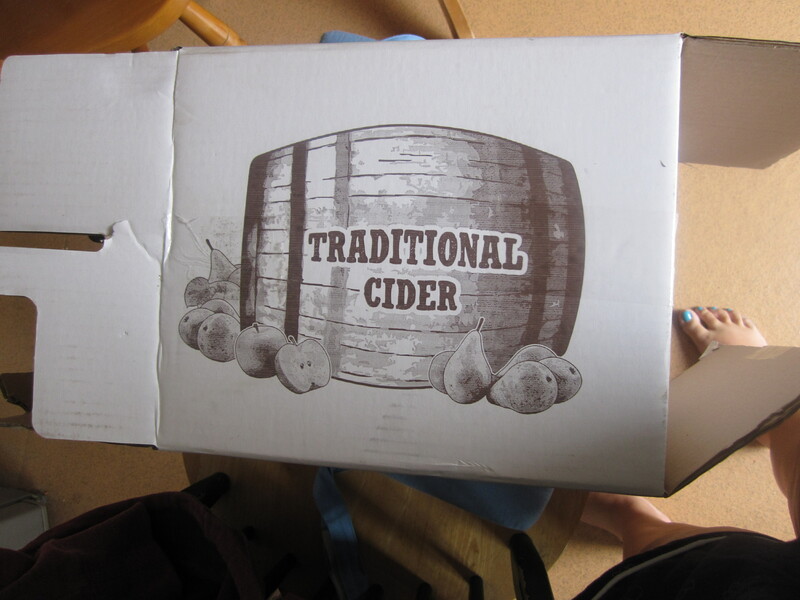 What makes it so good? I mean check it out below and how happy it makes me! Deep moist, crumbly and just perfection in cheesecake form. Now I sadly can’t afford to head back to New York every time I fancy a cheesecake (I really wish I could!) so I have made myself a bit of New York until I can go back. 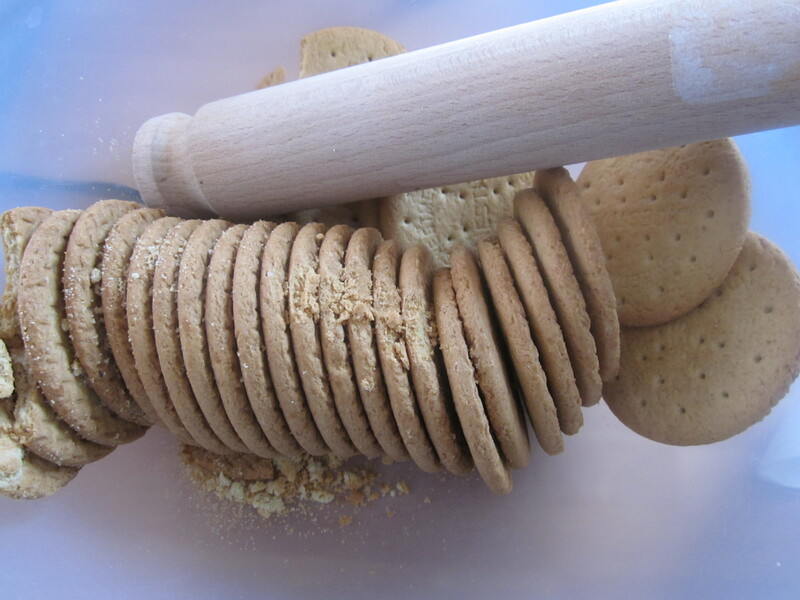 It’s a great recipe that doesn’t take to long to assemble and less time to demolish. 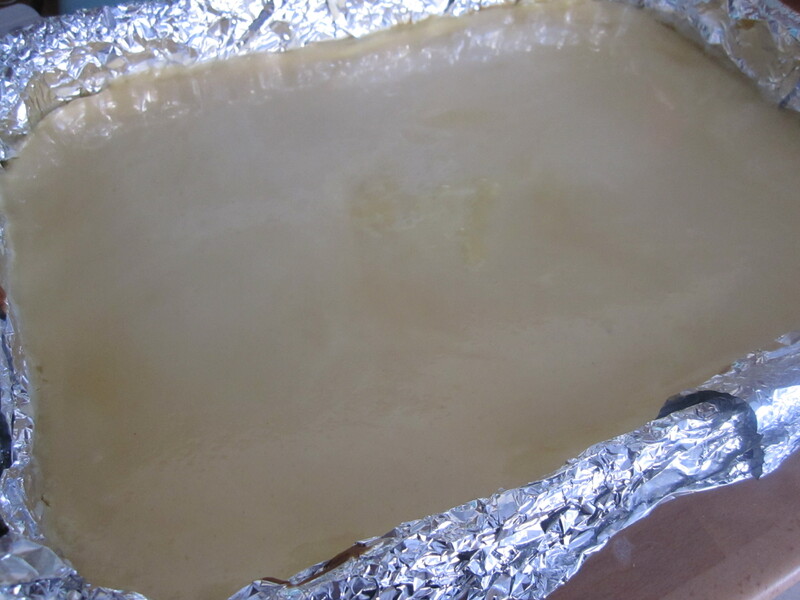 I don’t have a rectangle spring form tin so I make one to release this beast of a cheese cake. 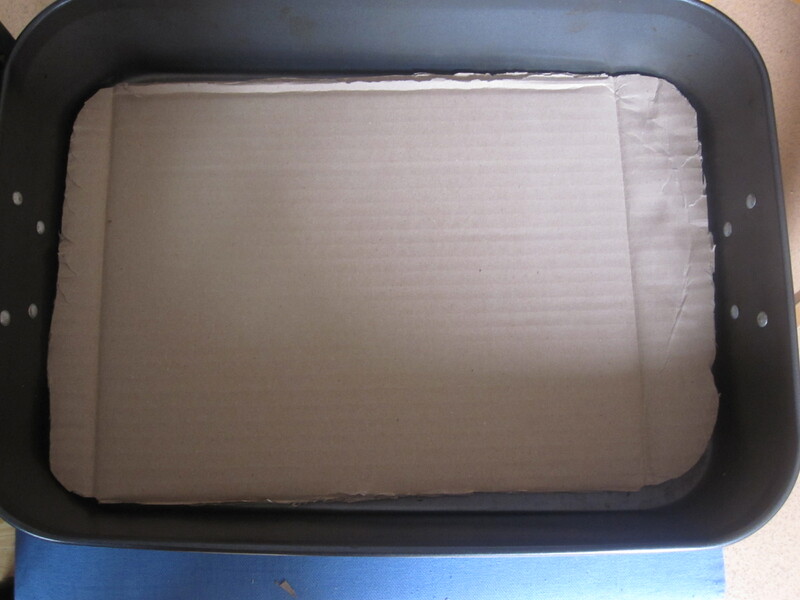 I use a tin that measures 36cm x 27.5cm x 7.5cm, then cut a cardboard base which I wrap in plenty of tin foil. 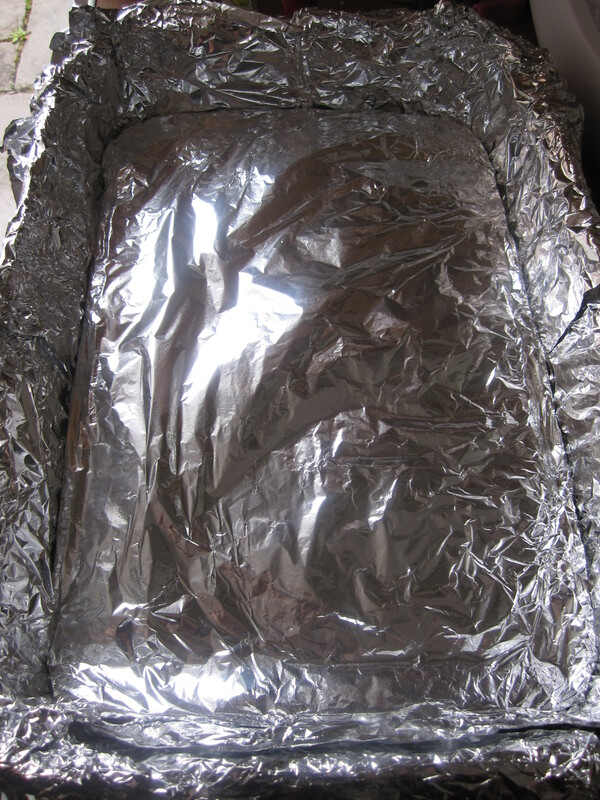 Once the based is wrapped up, lay across a couple good lengths of tin foil, you want enough foil that when you lift up the baked cheesecake the foil won’t rip. 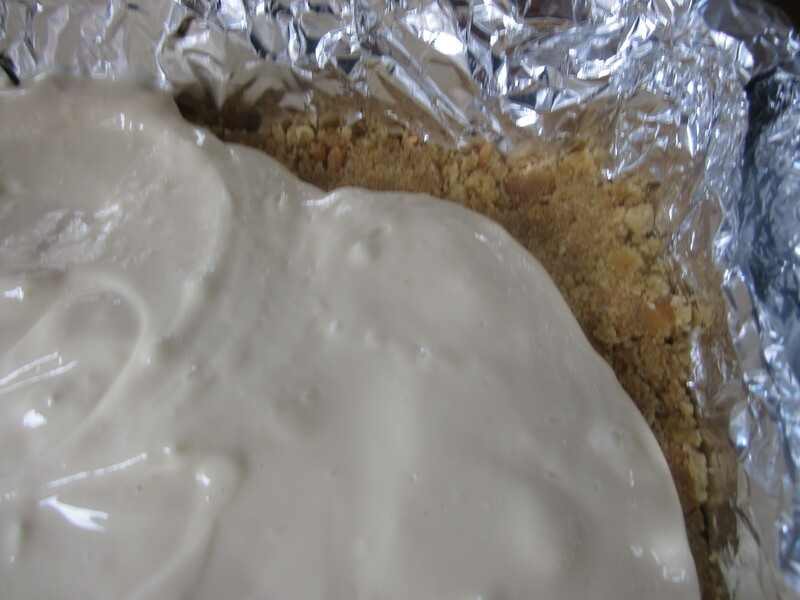 Place at the bottom of the tin the covered cardboard base as this will give support when removing the cheesecake so it doesn’t crack. Clever huh? Oven to 170C. 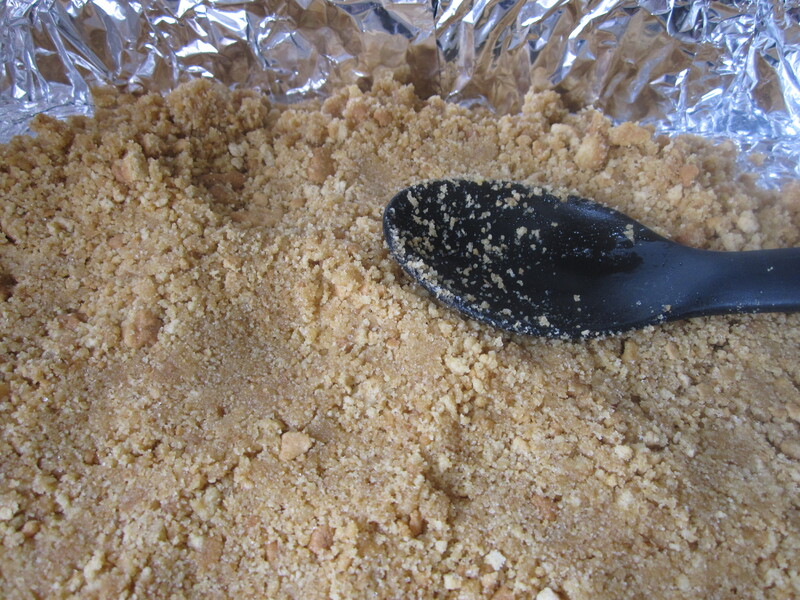 Mix the biscuit crumbs, melted butter and 2 tbsp of the caster sugar together and press into the prepared tin. Set aside. 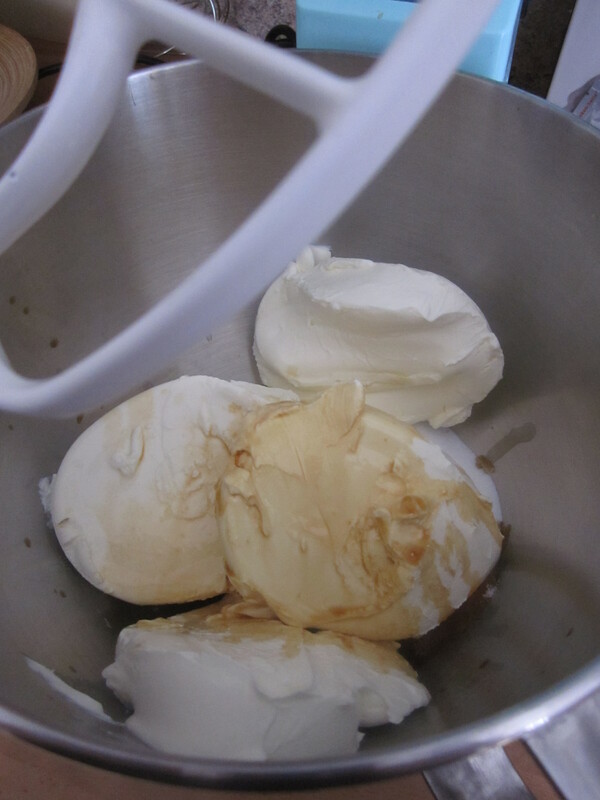 Beat the cream cheese, 2 cups of the caster sugar, 1 1/2 tsp vanilla extract. Until softened. 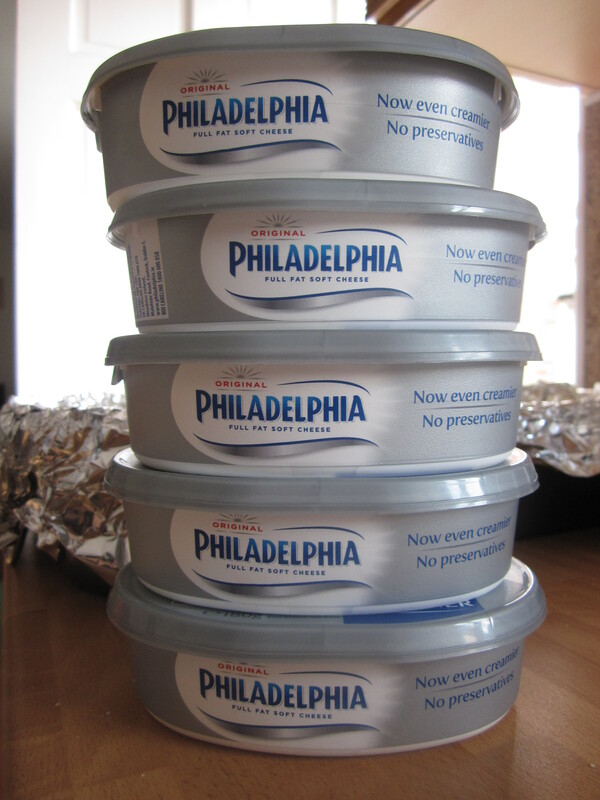 Beat in 2 cups of sour cream and all of the eggs one at a time. 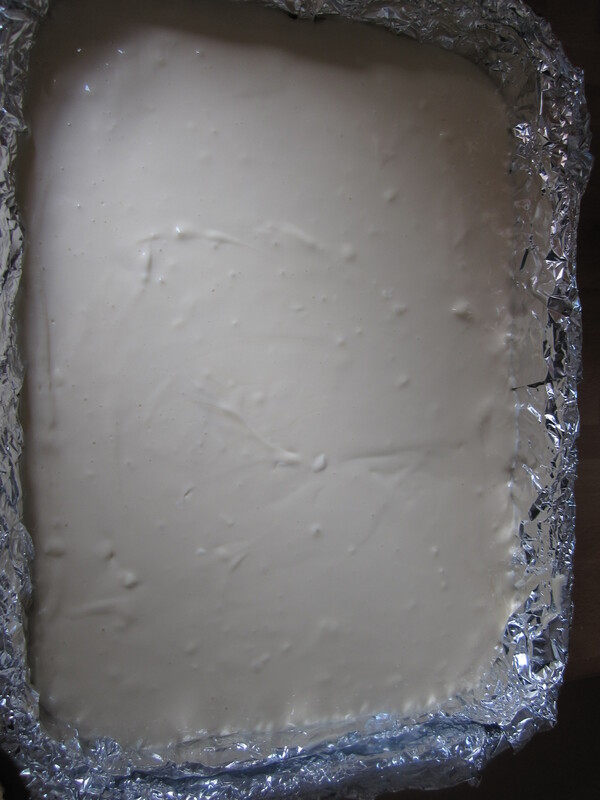 Pour into the tin on top of the base, bake for 40 minutes until there is a slight wobble still and light golden. 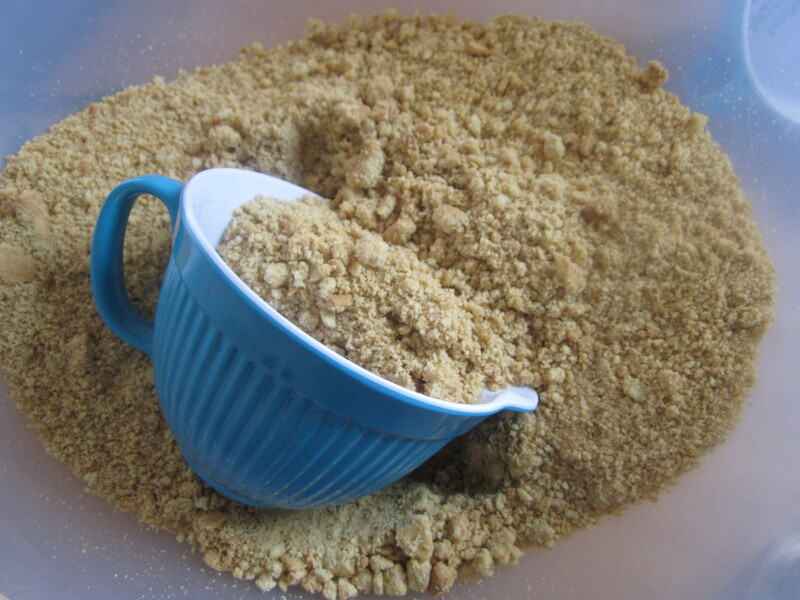 While the cheesecake bakes mix the remaining sour cream, sugar and vanilla in a bowl. 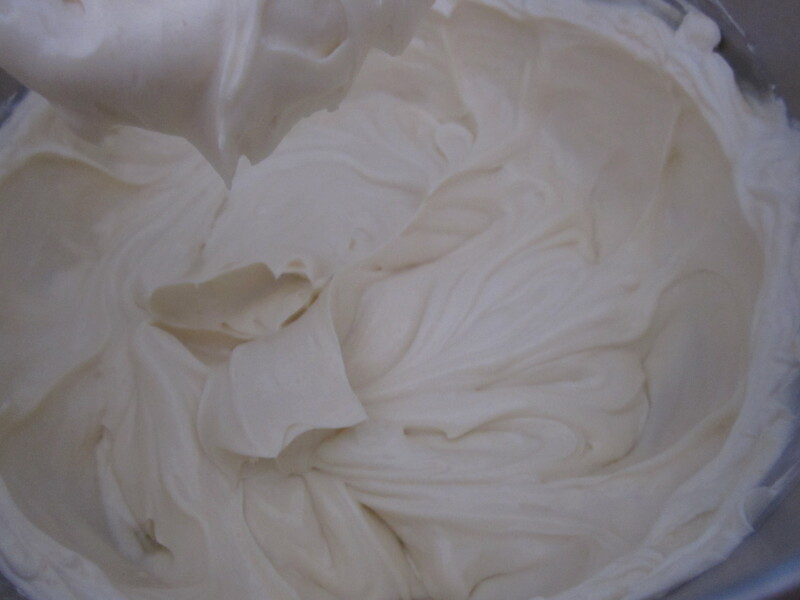 Once the cheesecake has cooked, carefully pour over the sour cream mixture all over and bake for another 10 minutes. Cool completely before chilling overnight. Remove from the tin and slice into squares and serve with fresh raspberries. Yum!